I was just talking to the folks at TCS and I guess I was mistaken about uploading user sounds. It is not and will not be possible to upload your own audio files. Also, they working on a future release of the steam decoder that will have sounds specific for geared steam locomotives, but they gave me no release time. 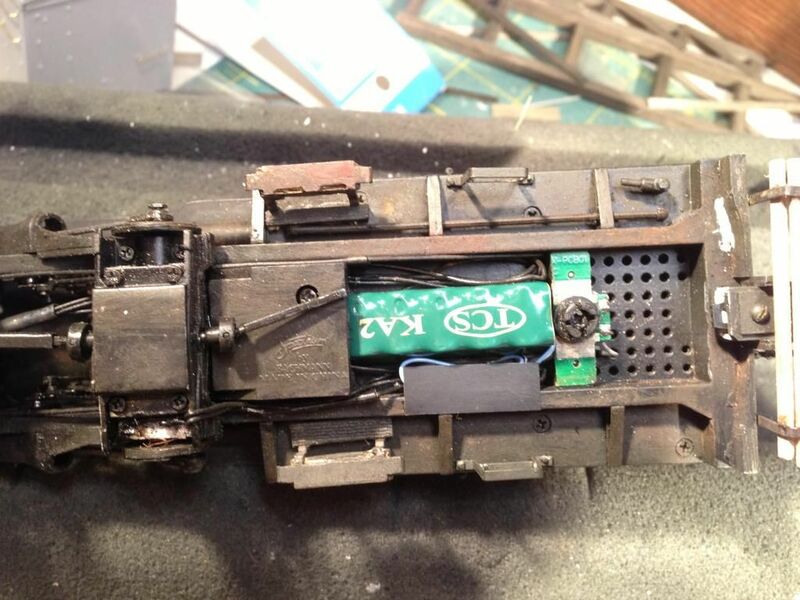 So if anyone is planning on putting a TCS Wow decoder in a geared locomotive you might want to wait. not much going on here, summer has finally come and there is much to do outside. I did make a small bit of progress, I got the engine house floor done, installed, and rails laid. 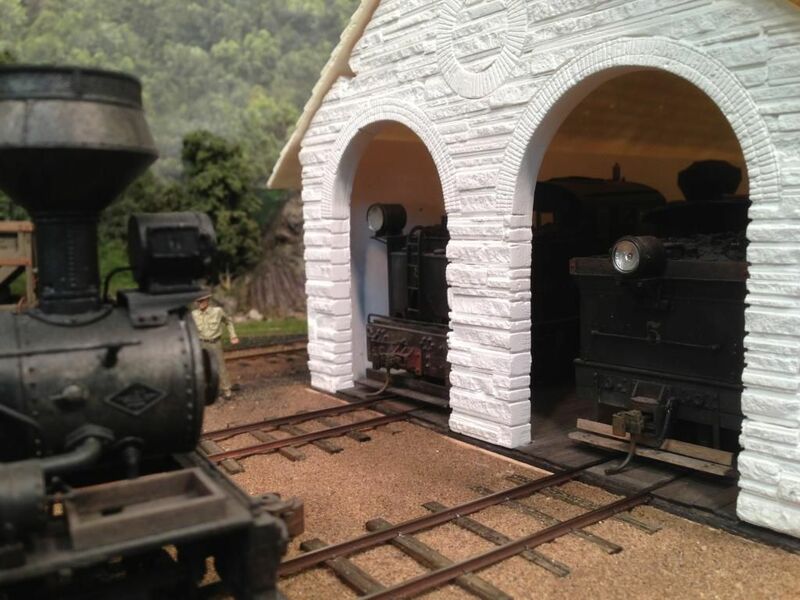 I pulled the locomotives into the engine house for the first time. Very nice. I look forward to seeing this EH come together. Kill that bright white! not much getting done on the railroad these days, summer finally came to Minnesota and I have been doing lots of outside stuff. However I did get some operating time in. I started to lay tracks of the final stretch to the last two mines. I don't have all the tracks laid yet but I was able simulate what it will be like by placing loaded hoppers on the spur that leads to the mines. I wanted to see how the addition of the spur to the mine area would effect the why the switching is done, basically will it make it too easy now. To do the test I decided to let Climax number 5 have the honors, seems I always use Shay number 8. Number 5 is a regauged Bachmann Climax, mostly stock except for the addition of a Soundtraxx decoder. 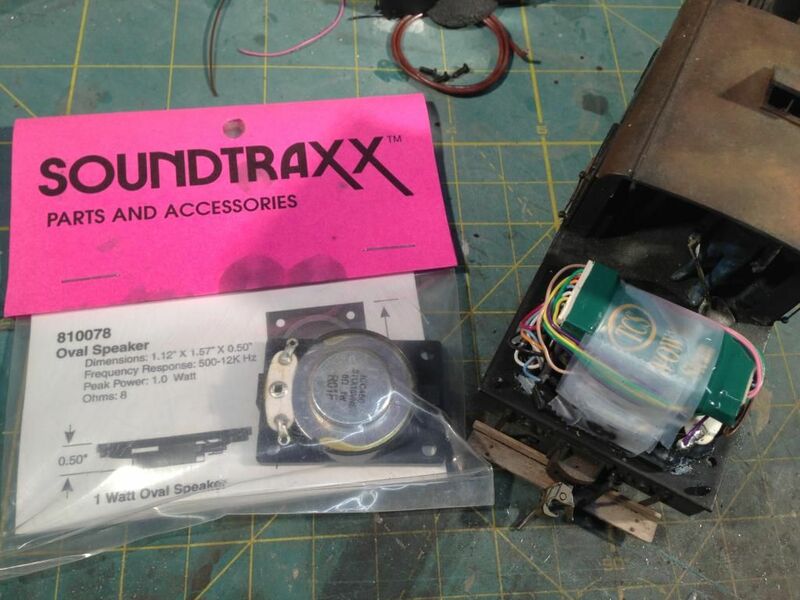 After an hour of operation I got tired of how poor the whistle and bell sounded so I decided to remove the Soundtraxx decoder and replace it with a spare Wow decoder I had. I like to use the largest speaker I can and this Climax has a huge speaker mounted face down in the water tank, and on the back of the speaker I have the decoder taped. The swap went well until I got to the finding space for the Keep Alive pack. 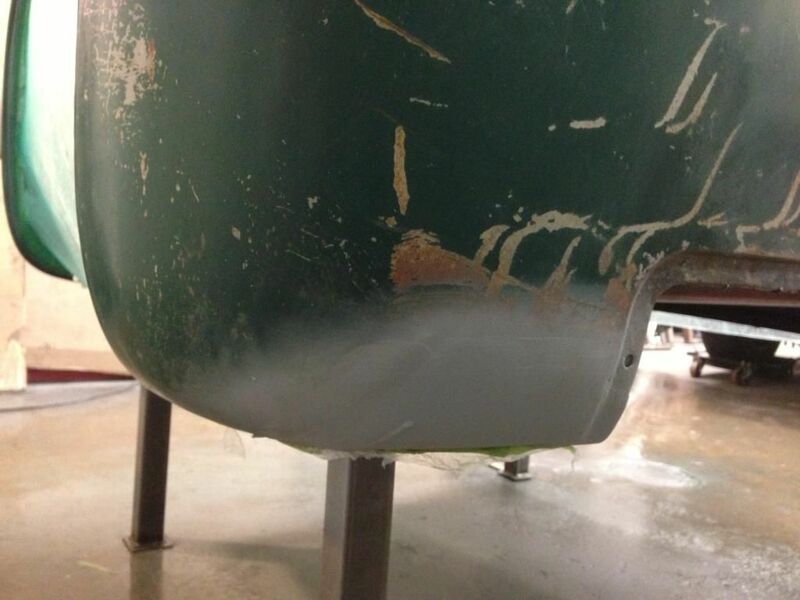 One thing for sure, the KA was not going in the water tank, there is was no room. After some poking around I finally found a place, between the frame rails under the cab. to mount the KA pack I removed the brake clevis details under the cab and ground down the metal boss the brake detail casting was attached to. I removed the bottom of the fire box and cut a clearance slot in it because some of the KA was going to have to extend into it. I also had to unsolder the small PC board that the rear truck electrical contacts ride one and flip it around. I cut slots under in the bolster to run the power wire to the other side, resolderd the wires and reattached the PC board. I cut the wires to the KA so I could pass them through the floor and made them a little shorter. Then I used a small spot of hot glue on the bottom of the cab floor to attach the KA, no room for double sided foam tape. The from brake hanger bar that spans the truck above the drive shaft on the rear truck had to be cut off to clear the KA as well. A little black paint will finish off the KA. It was a little bit of a project but adding keep alive to these locomotives is really worth it, and the sound quality of these Wow decoders is stunning compared to Tsunamis. short video of the first run. I thought the whistle I selected and the bell really fit this locomotive, and I really like the reverb on this whistle recording. I also have been programming CV61 to a value of 8, which turns off BEMF yet retains manual braking. I don't feel the BEMF is needed with geared locomotives. Very nice sound from the Climax. I got the WOW installed in my shay, and all I can say is WOW. What a difference the TCS decoder makes. I am really impressed with the WOW decoder. I didn't touch any of the CV's, I just installed it and it seems in sink with the engine. One thing I have noticed about mine is that when just running along without adjusting the throttle, the sound goes from just chuffing along to the same sound the it makes when the throttle is turned off and I have managed to burn-out the headlight led or the output from the headlight (white wire) is cooked, hadn't checked yet. I will post some pictures of my shay soon. Again, nice sounding climax. Are you using a sound cam on your climax? Very impressed. I would like to "loose" my tsunami in my climax! Can you tell us what speaker you used? I am always looking for better speakers. I'm also not real impressed with all the basic decoder functions of the tsunami, like speed control and the out of control take off that happens if you loose connection for a second due to dirty track. Looking forward to your eventual visit, Babcock State Park, Manns Creek and Cass. I like the whistle, which one is it? I don't think that one came with the Wow sound version 1 I have. I will look but you might be right and it may only be in Version 3. The first thing I noticed about Version 3 Wow decoders is the amount of whistles there are to pick from. here is what the decoder looks like installed. The package next to the locomotive shows the speaker I used. I had to modify the speaker a little but cutting away some of the mounting flange. The space is very tight so all wires are kept to a minimum length. I also made sure the wires did not pass over or under the decoder, they are wrapped around the decoder and taped down. I kept the spare function wires because I want to add the firebox flicker and a cab light in the future so they are wrapped around the speaker magnet a few times and taped in place. I had to use a high speed cutter to remove the four small square tabs inside the water box (they are the locating tabs for the different top castings). I also had to grind away the small rectangle of metal at the top front edge of the water box, it is basically the top of the coal board area. The decoder was taped down onto the speaker magnet so it is offset more to the front so when the water box is installed the decoder will sit up in the area which the square tabs were removed. The LEDs are either 1.5V or 3V and the decoder outputs are 12V, so if you do not add a drop resistor you will blow the LEDs right away. I am going to make a resistor board that has a bunch of resistors on it and a rotary knob that I can attach bulbs and LEDs, then connect it to the installed decoder function outlets so I can pretest what resistor to use by starting with the highest value resistor and rotate the knob until I get the desired brightness. That will keep me from blowing bulbs and LEDs that have been installed. The cuffing will drop out once the locomotive reaches speed if you are on level ground, it should kick back in when you go up grade or are pulling a load. that is the part of the decoder that works well is that it knows when the locomotive is coasting and it drops out the chuff like a real locomotive would. You can change the sensitivity if you like, there is a range between 0-8. To adjust it you have to program four different CVs, I will post them later. My guess is you will want to at least increase the chuff rate a lot more than the default is set to. To do that you press F8 four times and you will enter program mode. Then listen to the voice go through the options, it will tell you a function button to press to adjust the chuff rate (I think it is F4), then it will have you set the locomotive to a medium speed and then you use buttons it increase or decrease the chuff rate until it looks like it matches the cylinder motion. It is almost impossible to tell on a shay what the correct chuff rate is because there should be 6 chuffs per wheel revolution for a 3 cylinder engine. you can get a better idea about how fast it should be by temporally painting a white strip on one wheel and count to six every time the wheel goes around, then press the button up until the chuffing matches your counting. then hit F8 to save the rate setting. On a side note, I am working on a 1:1 weathering project. I am using my rusted metal technique that I used on my hopper car steel parts to weather a 1949 Chevy 5 window pickup. My mom wanted an old Chevy pickup to drive around as a summer driver and to take some trips with, so she bought this truck that was in somewhat decent shape. We took the body off and mounted it on a 2003 Chevy truck frame and added rear disk brakes so it now has four wheel disk brakes and rides like a new truck. The motor was swapped for a mild built Chevy 350 and we connected it to a 700R4 transmission so she gets good MPGs out of it. She wanted the truck nice on the inside but wanted to preserve the patina that it had on the outside. 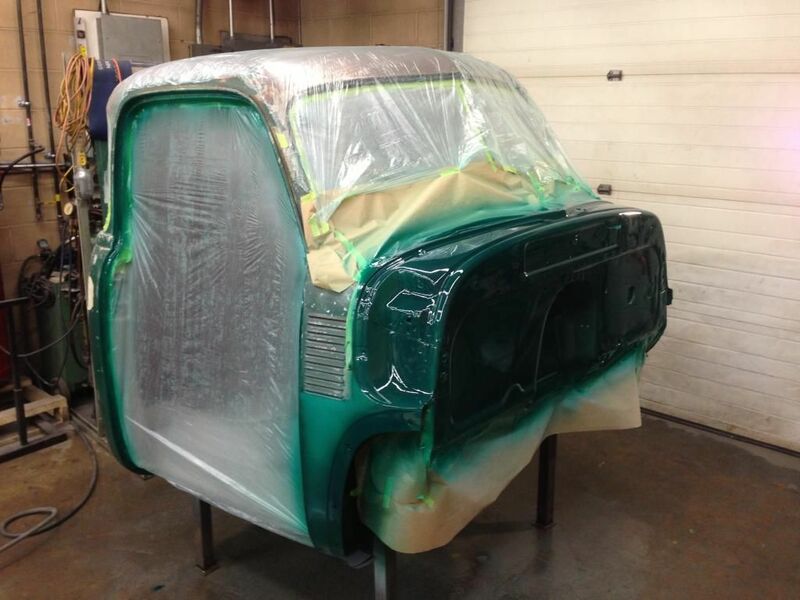 Every part of the truck was sandblasted, repainted, rebuild, and updated, except the outside. 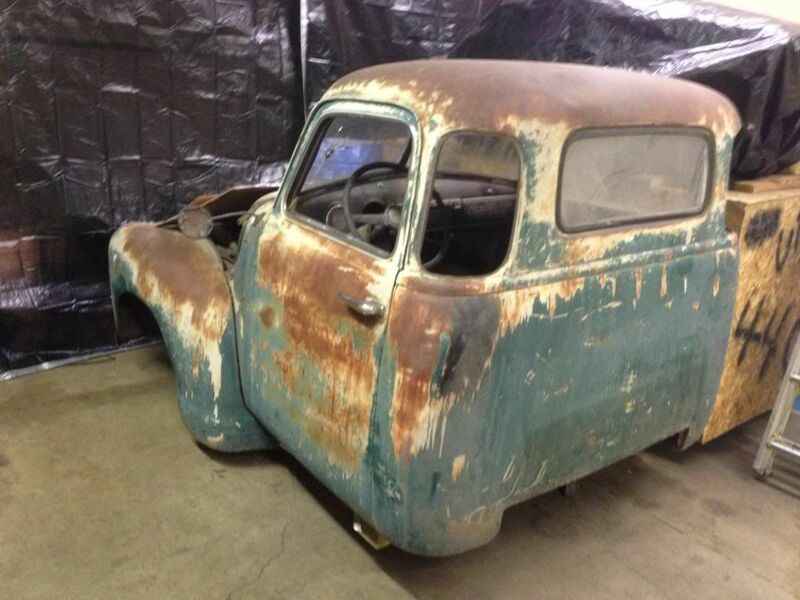 The trouble is that we discovered that some of the patina was a little too extensive and some of the rust when all the way through. To fix the really bad rust I had to replace all four bottom cab corners with new steel and lost some of the real patina. 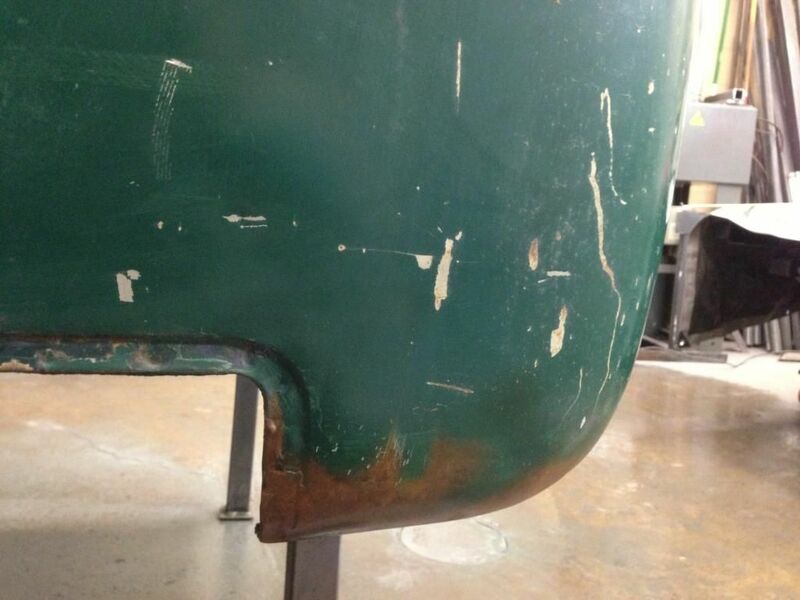 You would think it would be easy to blend the old and new steel by just letting the new stuff rust away, not so. She wanted me to paint it like the original and have it look like the paint was wearing away and rusting again. This week I have been painting the cab interior, firewall and door jams to all look new, next week I am going to tackle the outside, but I did a little testing to see if I could weather in 1:1. the hard part was not being able to use acrylic paint, I had to try by weathering using enamel paint. Here is a photo of one of the cab corners I did as a test. the truck had a grey and a tan primer so I had to paint them both on, then I had to paint on the same green color and blend it up to hide the slight color mismatch. 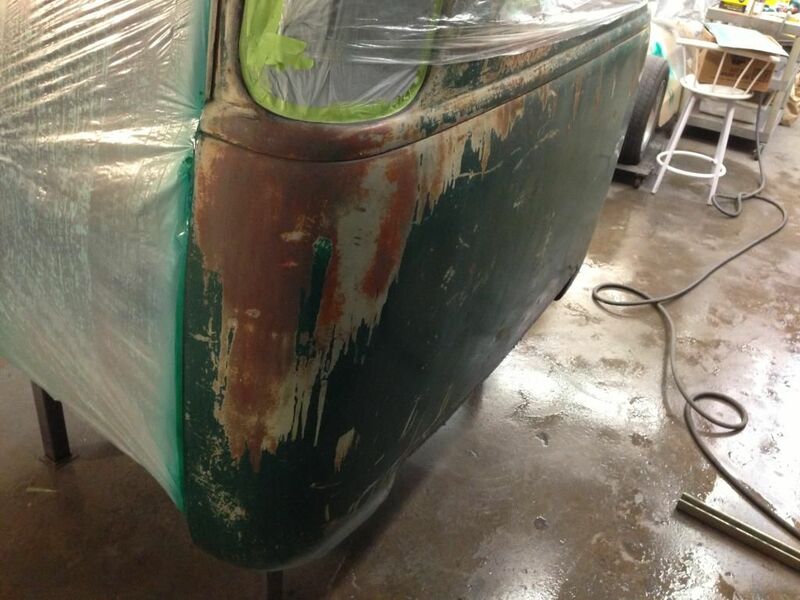 then I had to chip and scratch the green like the rest of the truck and then do the multi-splotch rust. So far I am pretty happy with it, but I will have to be more extensive with it on the front cab corners. before, with new steel and primer. test corner, same size steel patch as the other but this one is "finished"
here is the cab with the fresh painted firewall and you can see the new cab fronts that I will have to weather below the side louvers, which is why I did not paint them all green, because I will have to do the build up of old primer colors, body color, and then rust. Now that is a real project!!! If you have an airbrush.. try that for rust application too. I assume you will have a clear seal finish. Wow, just looked through your thread...you are a very busy and creative person. What has it been I just covered, over two years work. I guess the trend is I will have to wait until around October to see more real work done on the railroad. Look forward to it. I guess the trend is I will have to wait until around October to see more real work done on the railroad. Look forward to it. 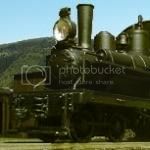 I hope not, I tend to do something model railroad almost every day, even if it is just 30 minutes, it is amazing some of the things I have gotten done by working 30 minutes a day on it. However, my next model railroad project that I have to finish is a extensive HO scale depot scratch build for a friend that will take up much of my On3 time. 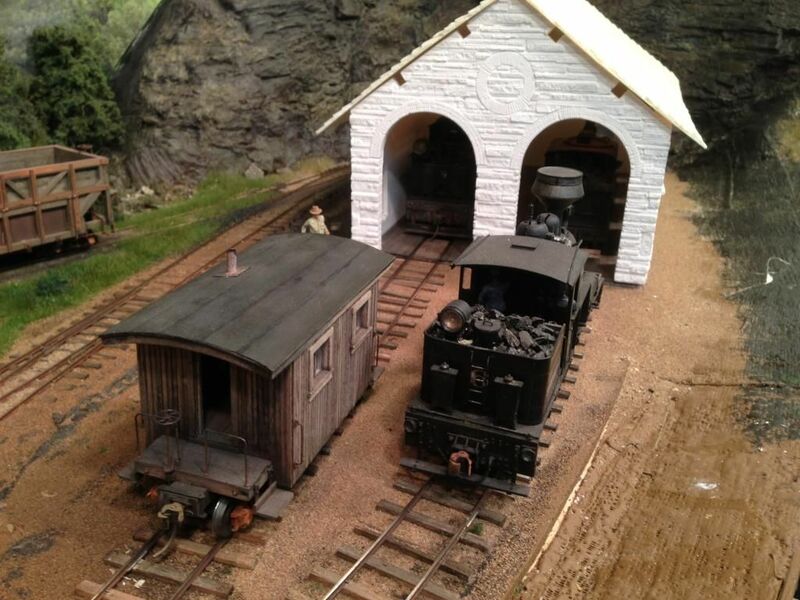 I will be posting about the depot project over on the scratchbuilding forum. I have some ideas of combining standard scratch building and 3D printing to make a very large structure without breaking the bank. 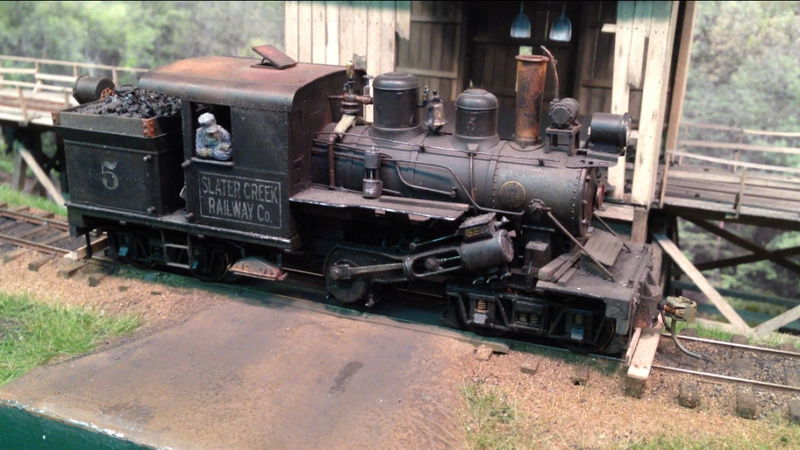 I future project I am planning for the On3 railroad is to get a working coal tipple running by 2015. As a side note, all tracks are laid and I am just connecting up the feeder wires, will post photos soon. Once again I am done laying tracks, unless I can find a place to expand into.